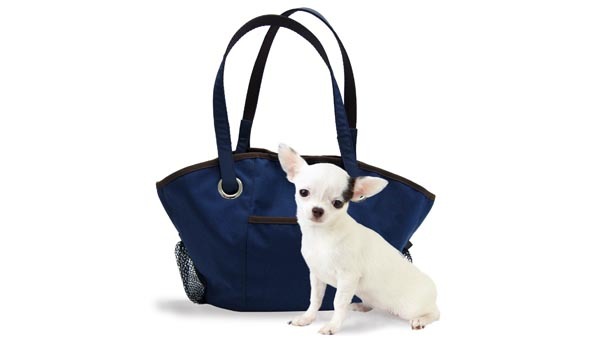 Join the pet jet set with a tote that works like a supply caddy but looks like a high-style handbag. One main compartment and five utility pockets provide room for organizing your buddy’s supplies and carrying a few of your own. A reinforced flat bottom helps the bag stand at the ready in any location while the straps adjust for hand or shoulder carry when in transit. This entry was posted on Thursday, April 22nd, 2010 at 7:17 PM. It is filed under Product, Travel. You can follow any responses to this entry through the RSS 2.0 feed.